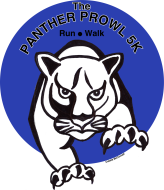 Details: The Panther Prowl June 3, 2018 is a 5k Walk/Run event in Saginaw Township. It is insured and USA Track and Field sanctioned. This is the third year of the fundraiser benefiting Nouvel Catholic Central Elementary School. The race will start and finish at the Knights of Columbus on Shattuck Rd., in Saginaw, MI. The race will go through neighborhoods but no major roads or intersections. Jogging strollers are permitted, but please no pets, roller blades, wagons, wheelchairs, or bikes. Participants registered before the cut off are guarenteed a t-shirt and all participants will receive a finisher medal! ****New this year.. there is going to be a prize for 1st Female and Male overall winner!! Due to our wonderful sponsors we are able to offer a grand prize for the overall winner in the Female and Male groups!!! ***** ALL ENTRIES BEFORE MAY 24TH, ARE GUARANTEED A TSHIRT!!! There are going to awesome prizes also up for raffle!! Packet pick up will be at Nouvel Elementary 2136 Berberovich Saginaw, Mi 48603 on Friday June 1st from 4-6, Saturday June 2nd from 10a-2p, in the school library! Come in the main entrance and go left. There will be signs as well. There will also be a late sign in table at the event. You will also be able to pick up on Sunday morning at the event site from 7:00 - 8:00am.